Summer is officially here. 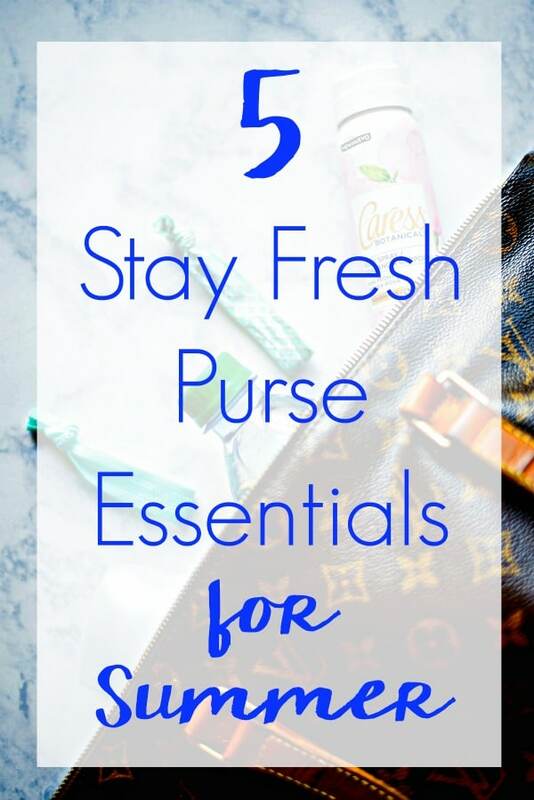 Have everything you need to feel confident no matter where the day takes you with these 5 Stay Fresh Purse Essentials for Summer! These 5 Stay Fresh Purse Essentials for Summer were sponsored by Mirum. People, especially women, like to feel and smell fresh. But staying that way in summer isn’t always easy. Between the heat, humidity, and time spent outside, even if you start the day off feeling fresh it doesn’t always last. Growing up with hyperhidrosis was tough. Especially since my mom has a nose like a bloodhound. I was made very aware of how I smelled add an early age. If I smelled good, I got by undetected but when summer heat struck, it made smelling and staying fresh even harder. So not only did I want to smell and feel fresh for myself, but I also didn’t want to offend anyone else. Because of those years growing up hyper-aware of how I smelled, I’ve learned that in summer especially, it’s essential to have some stay fresh purse essentials. No one likes the feeling of wet, matted hair on their neck. When you start feeling your body temp rise, pull out a hair tie and get the hair off your neck. No one wants to look shiny or feel like their makeup is sliding off their face (even if it is), so these are a great way to absorb some of the excess oil (and sweat). Starting the day with deodorant sometimes isn’t enough, it’s always a good idea to have some in your purse so you can swipe some on. A lightweight reusable water bottle with a filter or a small, disposable water bottle is always a good idea. Sometimes when you’re hot you just need a drink to cool off and feel refreshed. In summer, you never know where the day will take you. Get ready to transition from one place to the next while never missing a beat by having Caress Botanicals Body Spray in your purse. 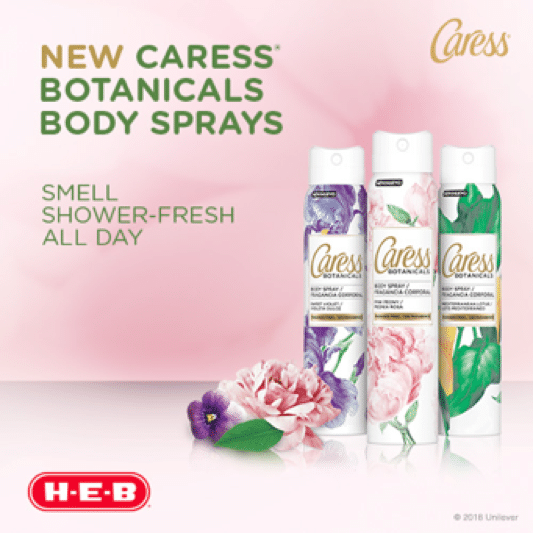 These new, long-lasting light scents come are available at H-E-B in scents like Pink Peony, Sweet Violet, and Mediterranean Lotus. The Caress Botanicals Body Sprays each have a different top, heart, and base note. Pink Peony: Top Note: white orchid, Heart Note: Pink Peony, Base Note: tonka beans. Sweet Violet: Top Note: tangerine, Heart Note: Sweet Violet, Base Note: musk. Mediterranean Lotus: Top Note: Bergamot, Heart Note: Mediterranean Lotus, Base Note: amber. I’m a sucker for florals so the Pink Peony was definitely my favorite. But don’t just stop at trying one of these scents, you can also mix these for scent combinations that are unique to you! 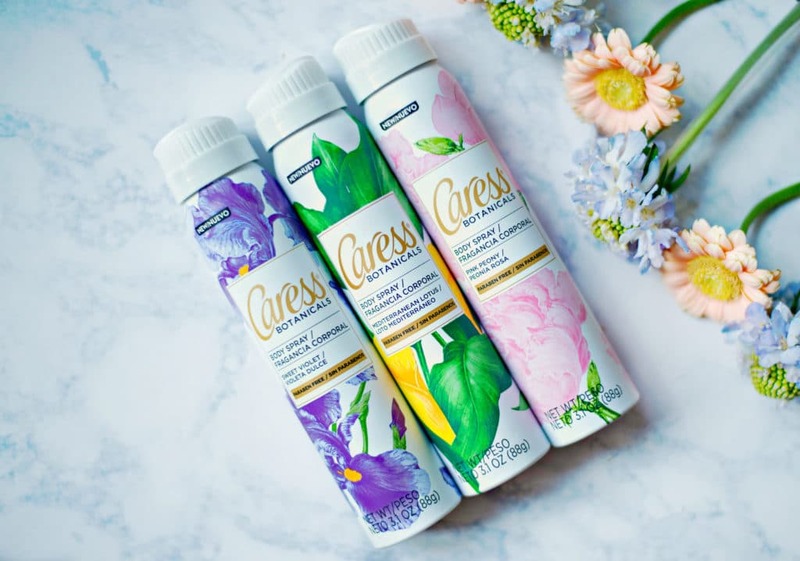 Each of the Caress Botanicals Body Sprays is naturally inspired and will help you celebrate any mood which is why Caress and Pandora have partnered together on a new playlist to celebrate the launch and the moods of summer! Check it out here! 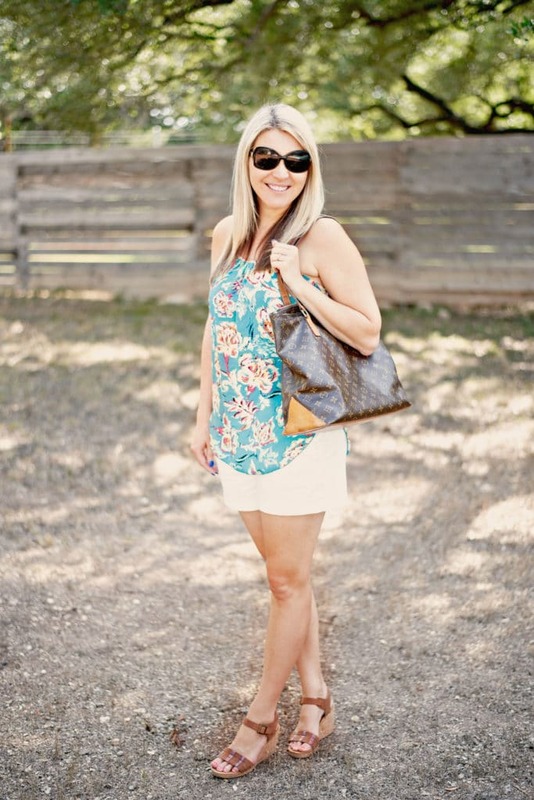 Do you have any other things to add to these 5 stay fresh purse essentials for summer? Let’s continue the conversation on Facebook!